25 Easy Painted Rock Ideas to Turn Simple Stones into a Work of Art! Home > Crafts for Kids > 25 Easy Painted Rock Ideas to Turn Simple Stones into a Work of Art! If you’re looking for easy painted rock ideas we’ve got everything from hedgehogs and bumble bees to galaxy rocks and kindness rocks! We collected a bag full of beautiful flat stones this summer that are crying out to be turned into something crafty so I’ve been searching for easy painted rock ideas to do with the kids. And oh my goodness there are so many fabulous ideas we might need to go and find more rocks! I found everything from hedgehogs and math rocks to Hungry Caterpillar story stones and even a beautiful silhouette landscape! As always be sure to scroll all the way to the end so you don’t miss any of the great ideas. And don’t forget to pin your favourites as you go! 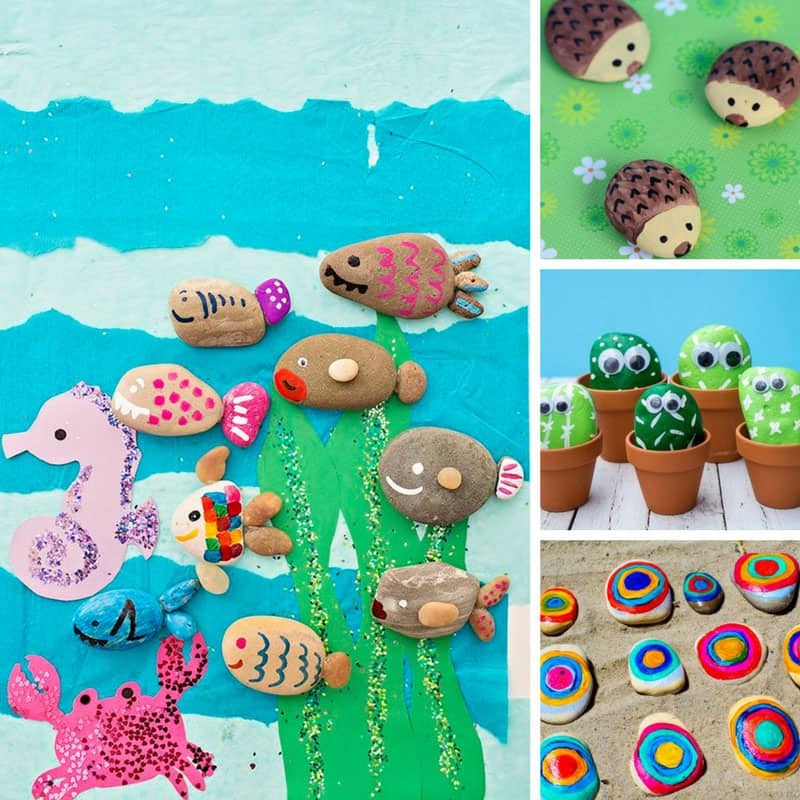 Easy Seashell Crafts for Kids – Preserve Those Summer Memories Forever! Previous PostPrevious 10 of the Best Spiralizer Recipes that Put the Fun into Veggies! Next PostNext 18 Fabulous Fall Mason Jar Craft Ideas Your Mantel Will Love!